The game of golf was comparatively unknown in the North of Manchester in the early 1900’s but a group of enthusiastic gentlemen battled against great odds and established Blackley Golf Club in November 1907 on the site of a small farmhouse, with 62 acres of poor quality land in the Charlestown road area of the City. It is alleged that the ground was so boggy a cow actually disappeared down an old mine shaft and was never seen again. 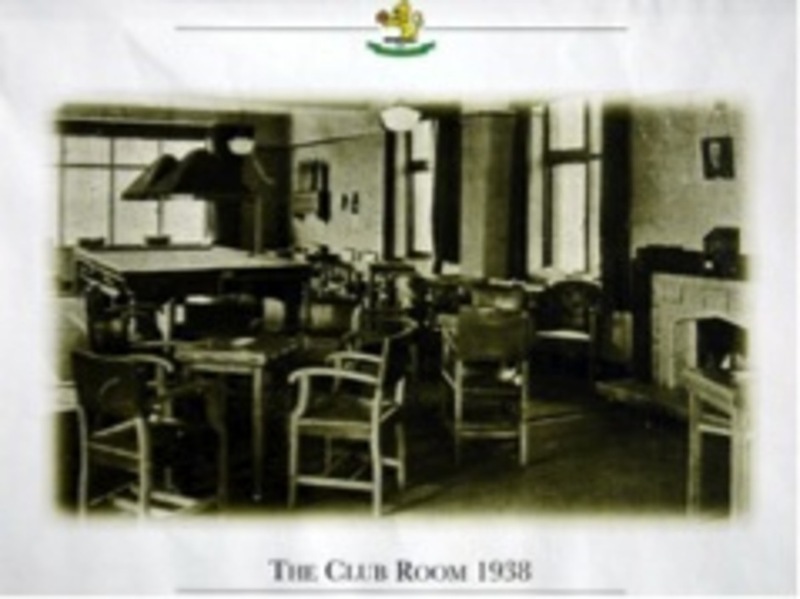 However, after extensive drainage, renovation and determination, a nine-hole course was created and the farmhouse transformed into the clubhouse. Play commenced on the course in January 1908, with an exhibition game between many of the areas professional golfers. Mr Sid Ball the professional at Heaton Park won setting the course record with a credible score of 69. 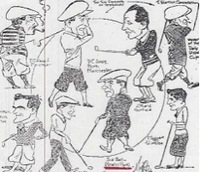 The leading golfers of the north as seen by “Monk”. Published in The Chronicle. Sid Ball is in the centre. The main driving force behind the foundation of BGC was Mr Fred Johnson, the son of a journeyman joiner of Oldham Road in the city of Manchester. 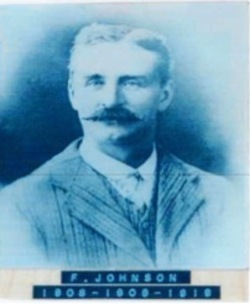 Mr Johnson, a successful self employed architect and surveyor living in St Annes on Sea, returned to Manchester with his family just in time to be the main instigator and founder of the club. In 1910 when it was decided that the original course was unsatisfactory, Mr Johnson used his talents to draw up plans to improve and lengthen it. The Captain’s chair presented in memory of Fred Johnson bears that original motto. The improvements assured the success of the club with a membership of 170 gentlemen and 70 ladies plus a growing waiting list. Fred found time away from his employment to be a director of the club and spent most of his leisure time there. 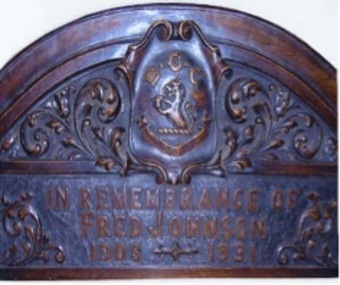 Sadly Fred Johnson passed away in 1931 aged 69. On his death the Captain’s and Lady Captain’s chairs were donated and presented to the club in his memory. The arms of the Captain’s chair represent the clubs crest of the lion’s claws.Although 1914 is remembered as the start of the First World War, it was also a special year for BGC. We were given consent to adopt the Blackley Lion as our emblem and our club colours; azure blue - which in heraldry stands for strength and loyalty and gold - which denotes generosity. 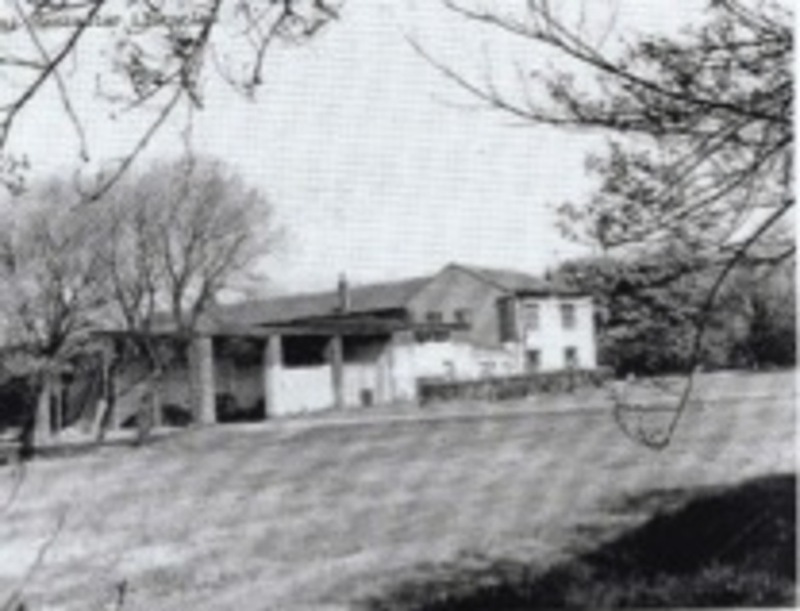 In 1922 the wish of the members for an extended course was finally realised by the acquisition of the lease to additional land at Clough Top farm. This provided sufficient land to extend the course to the desired 18 holes. The proposed 5715 yard course with a standard scratch of 74 incorporating many of the water hazards on the old 9-hole course, was planned and laid out by the professional of Manchester Gold Club. T.G. Renouf, who was a notable club marker and course architect, was paid the grand sum of £20.00. The last green was built and competed in May 1922 at some considerable cost. The official opening of the new course took place in June 1923. 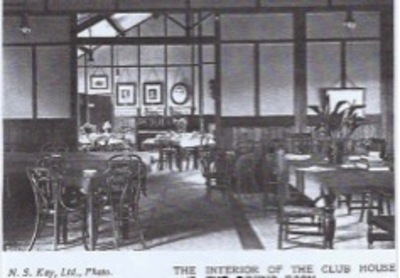 The new clubhouse was bungalow style with a veranda and contained spacious dining and social rooms which were easily convertible into one large function room. The cost of the building was £1,655.00. After extensive alterations the adjoining farmhouse was occupied by the ladies and when they gained membership of the Ladies Golf Union in 1924 it was the beginning of a very strong social life at the club that still prevails today. In 1924 drainage remained problematic resulting in 5,000 feet of drains, 1,500 feet of drainpipes and 60 tons of cinders being used to remedy the problem; the cost of the work was twelve guineas (at today’s rate approximately £400) plus, since the club didn’t own a tractor £5.00 for the purchase of a third horse. 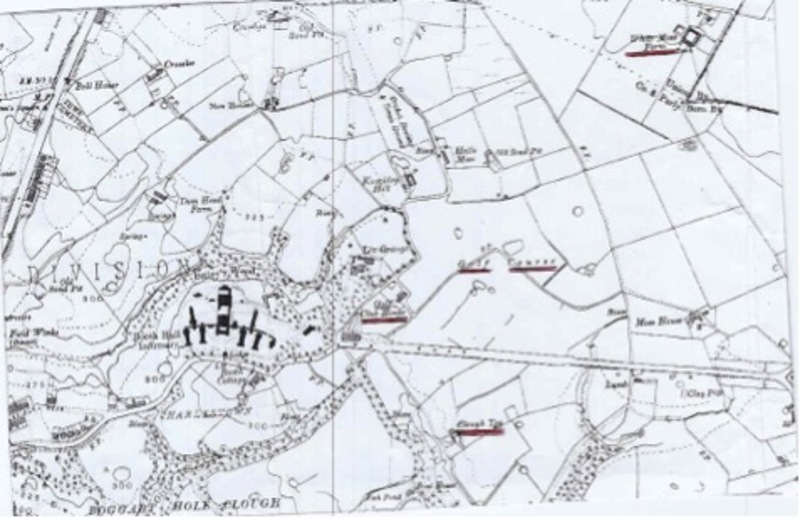 In 1936 the land came under threat from development and in 1937 the whole golf course at Charlestown Road was taken over by Manchester Corporation as part of their housing development scheme. The same dogged determination shown by the founders of the club was again evident as they fought to continue the clubs existence. 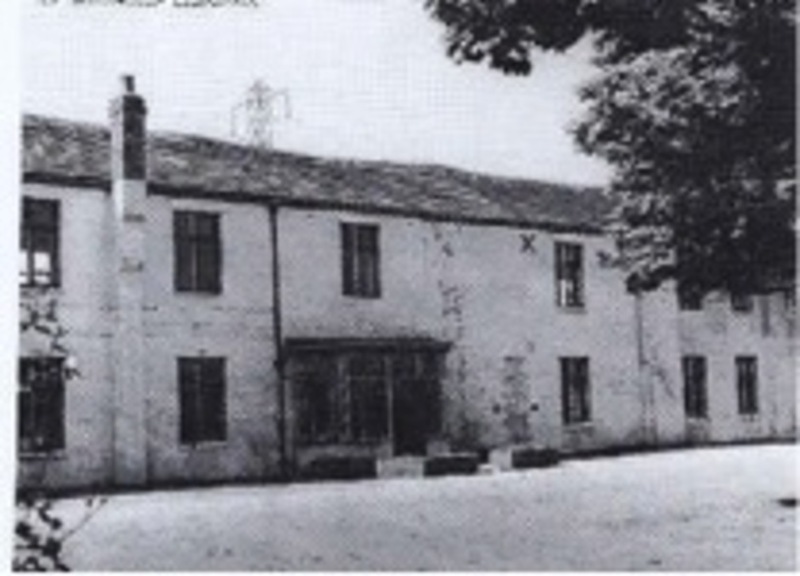 After lengthy negotiations with Manchester Corporation an agreement was reached and the club took over a forty year lease on 104 acres and buildings known as White Moss Farm, Victoria Avenue most of which was in the borough of Middleton with parts stretching the boundaries of Manchester and Chadderton. Part of the agreement negotiated with Manchester was that the turf from the old greens, the quality of which had not been excelled for many years for miles around, could be transferred to the new course. The first sod of the new course was cut in February 1937. The conversion of the old farm buildings was started in May and occupied for the first time on October 23rd 1937 on which day play commenced on the first nine holes. The total length of the course was 5,785 yards and the par was 72. Despite the dark clouds that were beginning to gather in Europe, the members of Blackley Golf Club were keen to continue normal life for as long as possible. With this in mind the generous gift of a snooker table and all the equipment was presented to the club by George T. Kirkham Senior. The same table is still in use today. During the war, Blackley did ‘its bit’ for the war effort. One requirement was that the rough should be allowed to grow so that it could be used for hay making at the appropriate time of year. However as war continued, the eleventh fairway and the fifteenth and sixteenth holes were all ploughed up and utilised for crops. The steward was given permission to keep poultry at his own expense to aid the war effort. During this time, club members raised large sums of money through whist and bridge drives, bring and buy sales etc and made sizeable donations to a plethora of charitable causes including The Spitfire Fund, Manchester Warship Week , Wings for victory and the Air Raid Victims fund to name a few. This practice of raising money for charity, established during the war years remains a high priority for club members today. On the 8th of May 1945 victory in Europe was declared and the club celebrated by holding a mixed foursomes followed by a tea dance. In the spring of 1947 the club accepted the offer from the war executive to re-seed the holes used for crop production. The clubs first connection with Broughton House a home for ex-servicemen which was established soon after the war with a donation from the ladies section still continues to present day. History was soon to repeat itself and in the 1940’s once again land was reclaimed by Manchester Corporation for the building of ‘pre-fabricated’ housing. 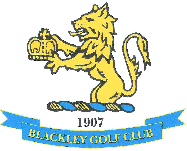 The 1950’s were momentous in the number of events that were begun and became traditions at Blackley Golf Club. During 1952 the unique institution known as the Maniacs was started…….Come rain, hail or snow the only thing to keep the maniacs from their golf is a ‘course closed’ sign. In 1953, Dai Rees who later went on the captain the Ryder cup team played an exhibition match at Blackley with our professional, George Chalk and Bob Garner. 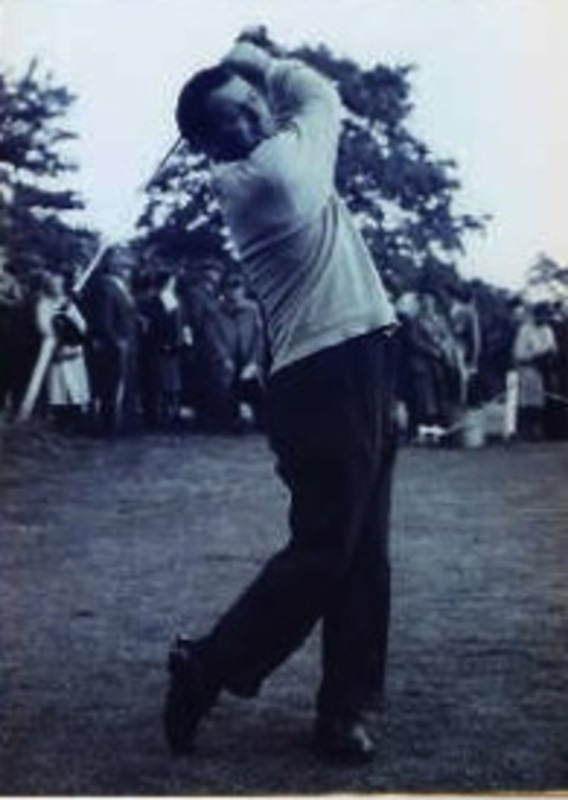 The previous year Bob had played on the European tour with renowned golfers such as Peter Alliss and Dai Rees. He then went on to play in the Open and led it for the best part of the opening day. The mid 1960’s saw BGC with a financial crisis. However one thing Blackley has never lacked is members with a vision. To turn around problems of dwindling membership, much needed course improvements and rising maintenance costs the club launched what was in essence a ‘private lottery’. Strictly confined to club members with an agreed number of participants it was agreed that after a large proportion of takings was paid back to members with the surplus to be used to make improvements to the clubhouse and the course. 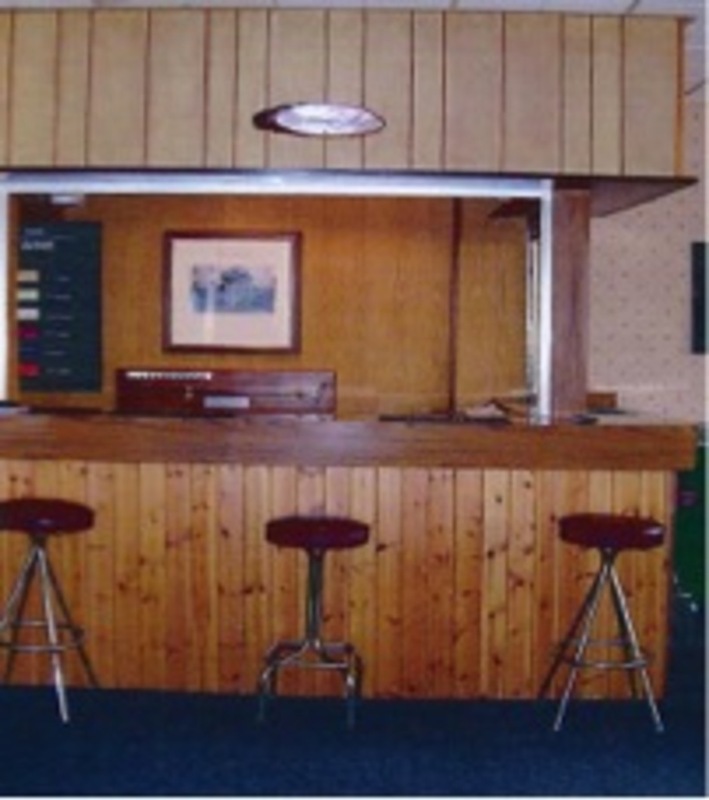 Plans were developed for major renovations and in 1983 with the help of loans from the breweries it was decided to replace and extend club and function facilities. The mid eighties brought a new era of prosperity to the club. The extension made a substantial impact on amenities the club could offer for socials and private functions and the increased coverage of the game in the media increased the demand for more and better golf courses. To halt the euphoria came the bombshell of ‘the motorway’ and by 1987 despite many objections and a great deal of work it seemed that nothing would halt the compulsory seizure of the land housing the second, sixth, seventh and eighth holes for the development of the M60. At the same time there were grave concerns about the stability and safety of the clubhouse and adjacent buildings which were resolved through costly building works including lowering the walls of the clubhouse to approximately six feet. After a very aggressive appeal, the club’s delegates successfully won one colossal battle when the planned route for the motorway was moved eighteen metres closer to Victoria Avenue. Although this helped when redesigning the course it became evident that to avoid contravening the rules regulating hitting balls towards the proximity of the motorway and the club faced loosing five holes with many more affected. For almost two years players never knew how many or which holes they would be playing week to week with earth moving equipment constantly trundlingover the ground. No-one ever envisaged that the upheaval would continue for almost five years and it wasn’t until 1999 that the work was completed. By this time the old clubhouse was deemed unsafe. One structural engineer recommended that “on leaving the clubhouse, the last one out should not slam the door”. A motion for a new clubhouse was proposed, forwarded and carried. It was a number of years later when the finance came available and in the meantime the lease was due to expire. There was a prolonged dispute between Manchester and Rochdale local authorities regarding who owned the land. In 1999 after a court settlement in favour of Rochdale the club succeeded in obtaining a 125 year lease which gave it the security it had been looking for throughout its history. On 29th May 1999 the new course was finally opened. By 2003 it was no surprise that the nominations committee was one of the busiest in the club as more and more prospective members applied. Word had spread of the vast improvements that had taken place at BGC. Through the tireless efforts of Mr P Kirkham and Mr A Hough the best possible deals had been negotiated with the motorway constructors. The new greens were all to U.S.G.A standards and plans were in place to replace all the existing ones to the same condition. Drainage ponds were constructed and brought into play and a huge tree planting programme was established. In June 2009, after long and arduous toil, the building committee led by Mr G Wild brought about the completion of the new superbly appointed clubhouse which today provides members and visitors with all the up to date features golfers and their guests take for granted. The recession which began to take hold in 2010 undoubtedly had an impact on golf clubs and in 2012 the English Golf Union reported that an estimated 46,000 golfers failed to renew their memberships. Blackley did well over the year to come close to retaining the 2011 membership level however, as financial pressures continued to bite, the club took courageous steps not only retain members but to embark on a major recruitment campaign to convert the local share of the 1million nomadic golfers into BGC members. The success of the campaign combined with superb bar, catering and function facilities, stunning grounds and an established well maintained golf course that members, visitors and guests can be truly proud to be part of, has once again returned BGC to the heady days of 2003. 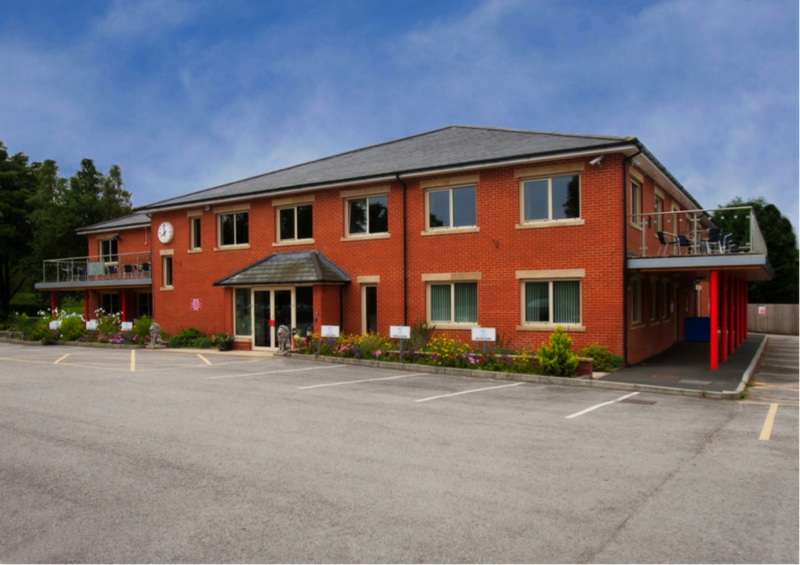 As the committees, trustees, staff and volunteers did in the past, it is our mission to maintain club facilities to a high level that meet members and visitor’s expectations. We will also continue strive to make a significant contribution to the health well-being and quality of life not only for those who play amateur golf at the highest levels in teams or as individuals, but also for the wider community who participate in our sport for fun and enjoyment.